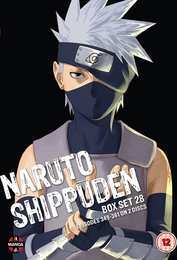 Years before he became Naruto’s teacher, Kakashi served as a member of the ANBU Black Ops team, so ruthless he earned the nickname “Cold-blooded Kakashi.” But despite his reputation, he is haunted by the deaths of his closest friends during the Third Great Ninja War. As he wrestles with his loss, Kakashi must uncover who is behind illegal genetic experimentation, survive threats from within his own organization, escape capture at the hands of Orochimaru’s followers, and battle a young shinobi who possesses formidable and very rare Wood Style Jutsu. And after these trials, another young ninja joins his unit—Itachi Uchiha!